To solve this problem, you have to reset the waste ink counter. The panel will display error E08, with message “The Ink Absorber is Almost Full”. Printer must be in a state of Service Mode. Turn off the E08 error by pressing the power button. Do not unplug the power cord. Press and Hold the button Stop/Reset followed by pressing the Power button. Release the button Stop/Reset only. Press the button Stop/Reset 6 times, then release both buttons simultaneously. The printer MP287 will be in Service Mode. LCD Panel will blank / dark and in your computer will detect new hardware. Ignore it. Click “Clear EEPROM”. 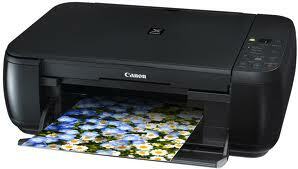 Then click “EEPROM”, and the printer will print the results Resetter. Writing one line as follows: “TPage (COPY TTL = 00 000 = 00 000)”. Turn off by pressing the power.